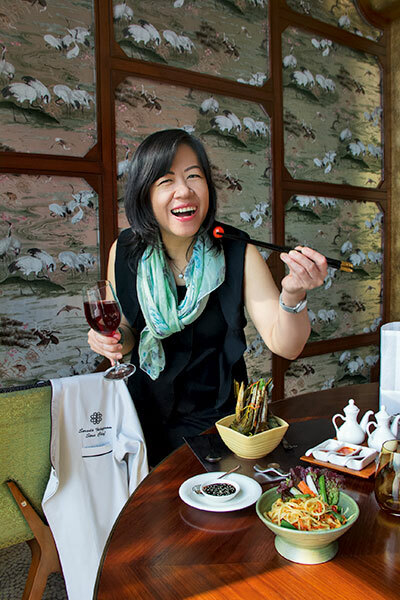 The chef de Thai cuisine at the plush restaurant Mekong at The Palladium Hotel loves whipping up comfort food generally when she is under the weather. Since Intaprom is Thai, her favourite food to lift up her spirits is a bowl of khao tom soup, a broth made with rice and mincemeat dumplings that reminds her of home. According to Intaprom, her breakfast is also something where she seeks comfort. “That’s where saku saimu, a tapioca dumpling filled with coarsely ground peanuts and well-seasoned meat comes into the picture,” says the chef who has been cooking ever since she was 18 years old. She admits to cooking comforting meals when she isn’t well or when she is missing home. Her mom’s delectable steamed chicken in curry paste is something that instantly warms the cockles of her heart. “I really enjoy her northern-style of cooking Thai food that has a lot more herbs and almost no coconut, very different from what everyone associates Thai cuisine with,” she shares. Since a chef’s life doesn’t allow much free time, Intaprom catches up on news while enjoying her favourite comfort foods. Chicken stock, 6 cups; Minced shallots, 2 nos; Lemongrass, chopped, 1 stalk; Minced chicken, 1 cup; Fresh cilantro leaves, roughly chopped, 1/2 bunch; Light soy sauce, 1 tbsp; Minced ginger, 1 tbsp; Celery, chopped, 1 stalk; Rice, 1 1/4 cup; Thai fish sauce, 2 tbsp; White pepper powder, 1/2 tsp. Season minced chicken with pepper, soy sauce and roll it into a dumpling. Immerse these in a pot of boiling water and cook until done. Strain and keep aside. In a soup pot, boil the chicken stock. Add ginger, shallots, lemon grass and rice. Add salt and allow it to bubble, stirring occasionally for 20 to 30 minutes. Discard the lemongrass and add the dumplings, fish sauce and simmer for five minutes further. Garnish with scallions, celery and cilantro.